Yields enough for eight small pizzas. Figure one to two balls per person. Make two separate batches if you need more dough. Stir the yeast into the water; let sit for 15 minutes. Combine the flour and salt in the bowl of a stand mixer fitted with a dough hook or in a large bowl. On low speed in the stand mixer or stirring with a wooden spoon, slowly add the yeast mixture and the olive oil alternately to the flour. Knead for 6 minutes on low speed in the stand mixer or on a floured surface by hand until it becomes elastic. The dough should feel soft and just a little sticky. If it feels grainy or dry, add 1 tablespoon warm water at a time (up to 1/4 cup). Knead for another 2 minutes by hand on a floured surface. Transfer the dough to a lightly oiled bowl that’s at least as twice the size of the dough and cover with a damp dishtowel. Let rise at room temperature until almost doubled, about one hour. 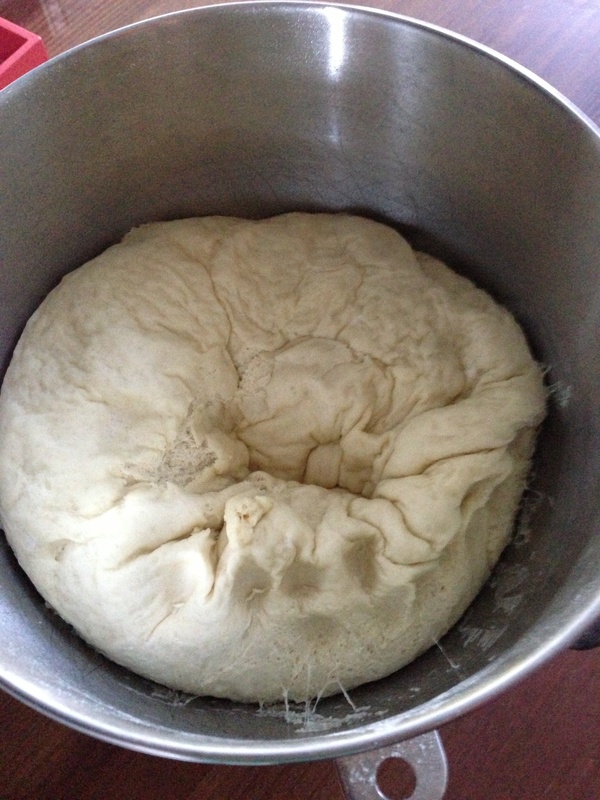 The dough is ready when you poke a finger in it and it holds the impression. Put the dough in a lightly oiled bowl that’s at least twice the size of the dough and cover with plastic; refrigerate overnight. It will rise slowly in the cold, doubling in size. 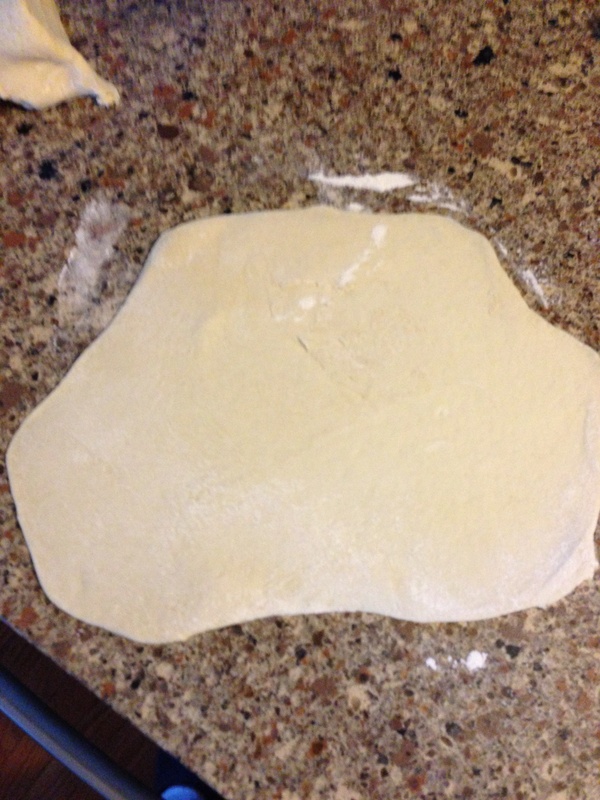 Put the unrisen dough directly into a large zip-top bag. Freeze for up to one month. Transfer it to the refrigerator one day before preceding. 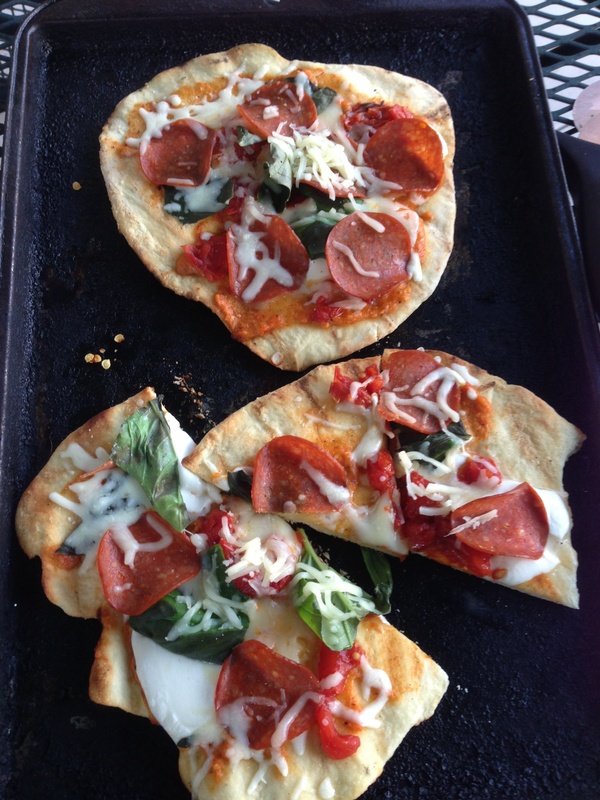 Let refrigerated dough warm up for 20 minutes at room temperature before proceeding. Punch down the dough and divide it into eight 4-ounce balls. Put each ball on a floured surface and, with your hands, flatten and stretch it into a disk that’s about 1/2 inch thick. 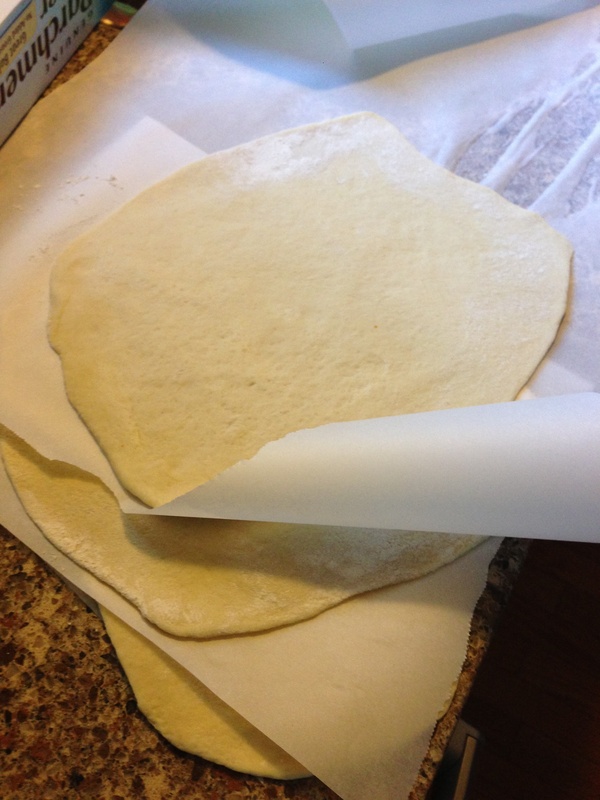 The dough will be fairly elastic and will tend to spring back. Cover each piece with plastic and let rest for 5 minutes. Stretch or roll each disk into an 8- to 10-inch round about 1/8 thick (the thinner the better). If they continue to seem spring and resist rolling, cover and let rest for a few more minutes. Line a rimmed baking sheet with parchment or waxed paper and layer the rounds on it with a sheet of parchment or waxed paper between each. 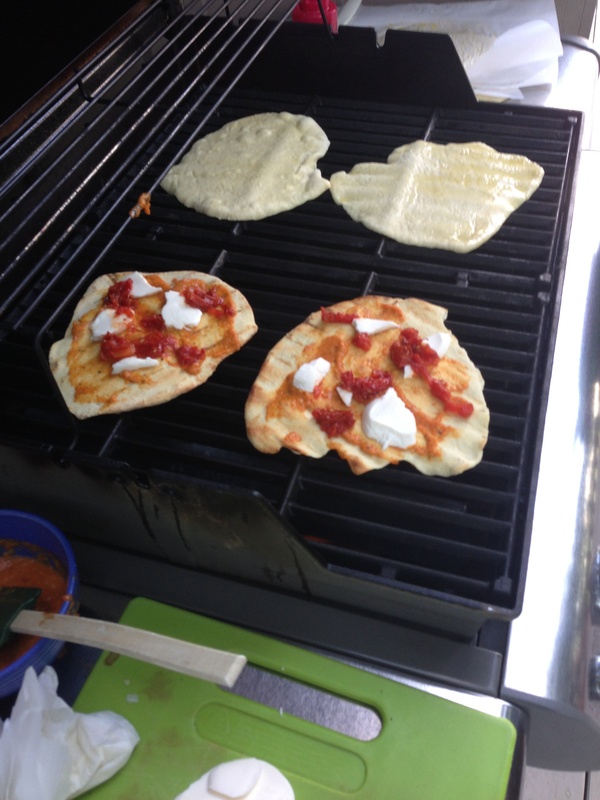 Use the dough immediately or cover and refrigerate for up to 4 hours.